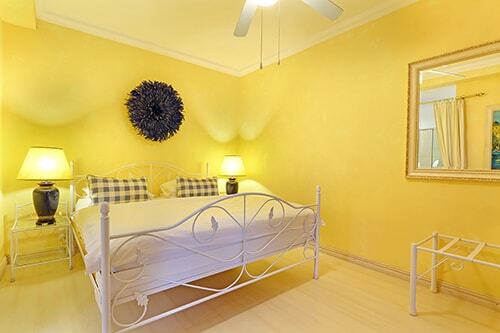 Luxury **** guesthouse accommodation located at Gordons Bay, Cape Town. 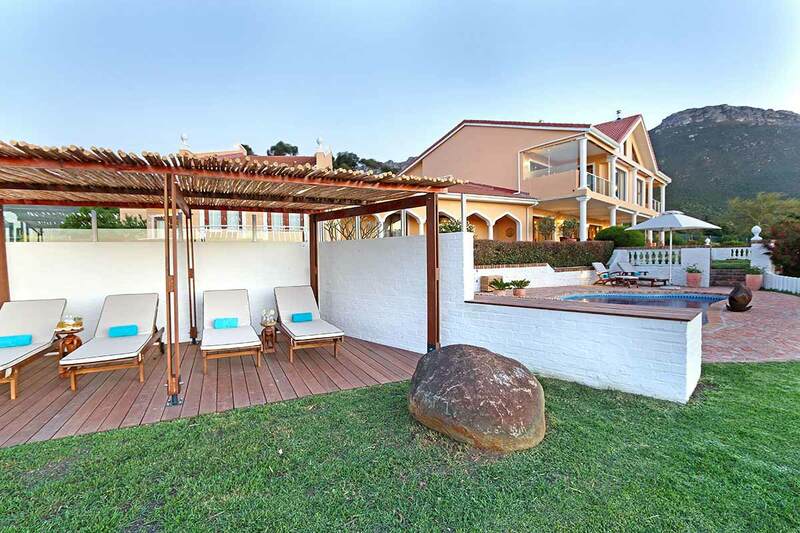 Ideally situated for your leisure only, or for unforgettable golf holidays at the Cape. 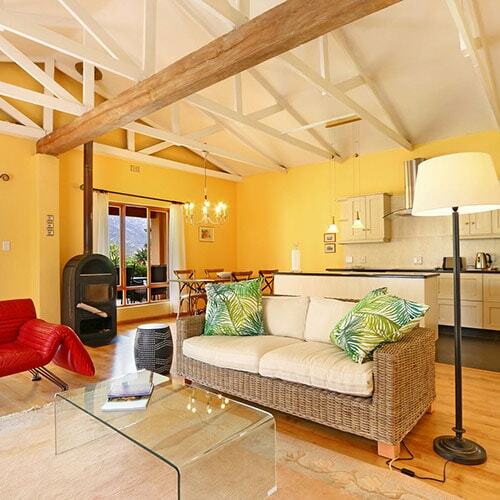 Located in an idyllic setting with panoramic views over False Bay stretching all the way to Table Mountain. 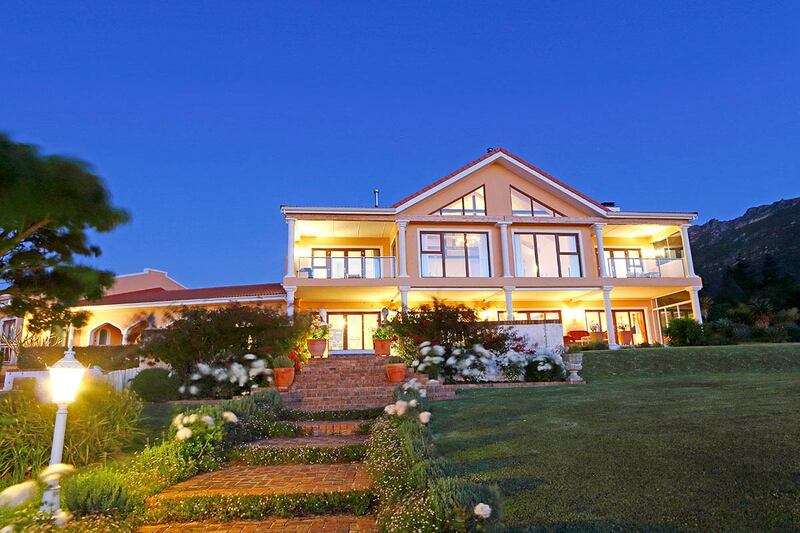 Only 30 minutes from Cape Town International Airport and 3 minutes from the N2 towards Garden Route. Do you play golf? We organise your T-times on various golf courses all around the Western Cape (within 20 min – 1 hour). 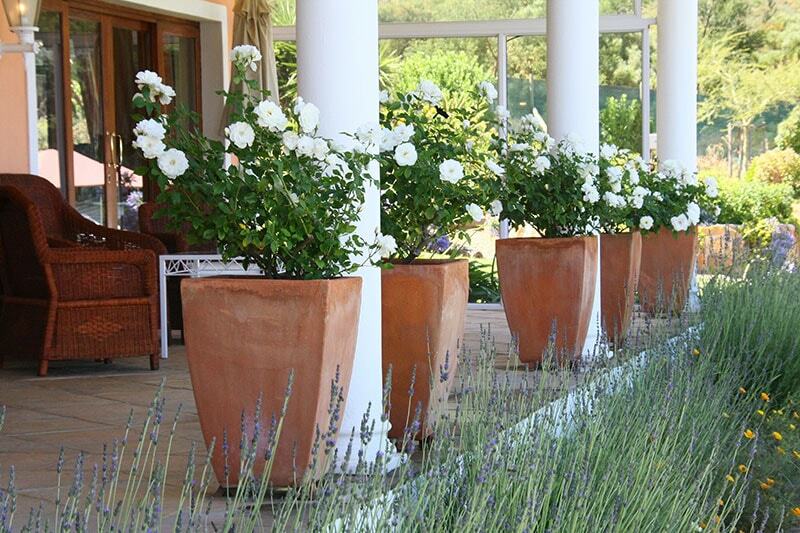 Including Arabella, Pearl Valley, Steenberg, Erinvale, De Zalze and Stellenbosch. We organise your T-times on various golf courses all around Gordon’s Bay (within 20 min – 1 hour) and along the Garden Route. Wine tasting at one of the nearly 600 Wine estates. 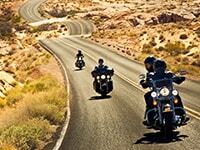 Harley tours, tree top canopy zip-lining, paragliding, hiking and mountain bike trails are just a few of the options. 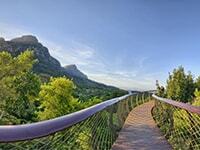 Take a day trip to vibrant Cape Town & Cape Point Nature Reserve. 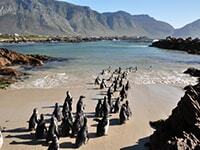 Visit “our” Penguins in Betty’s Bay. This road follows the spectacular thirty-mile stretch of coastline between Gordon’s Bay and Kleinmond framing False Bay. 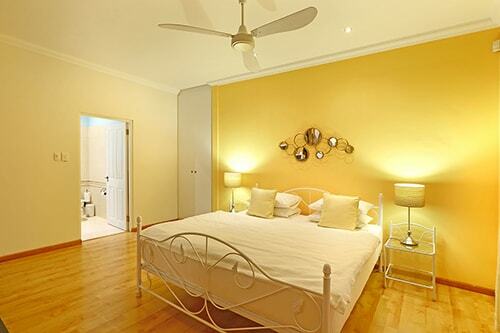 Luxury double room with a king size bed and choice of king size or twin beds in Vanilla. 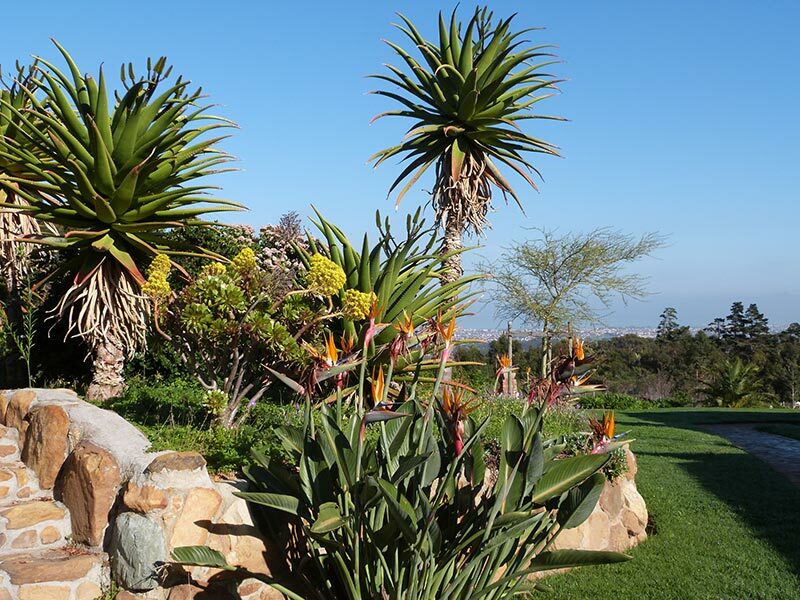 Next to the indigenous garden, with sea view and mountain view from the garden terrace. 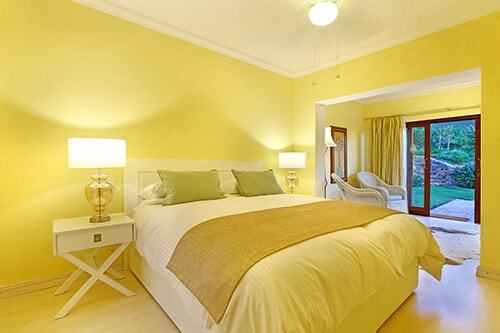 Deluxe room with a queen-size bed, en-suite bathroom with shower, private entrance. 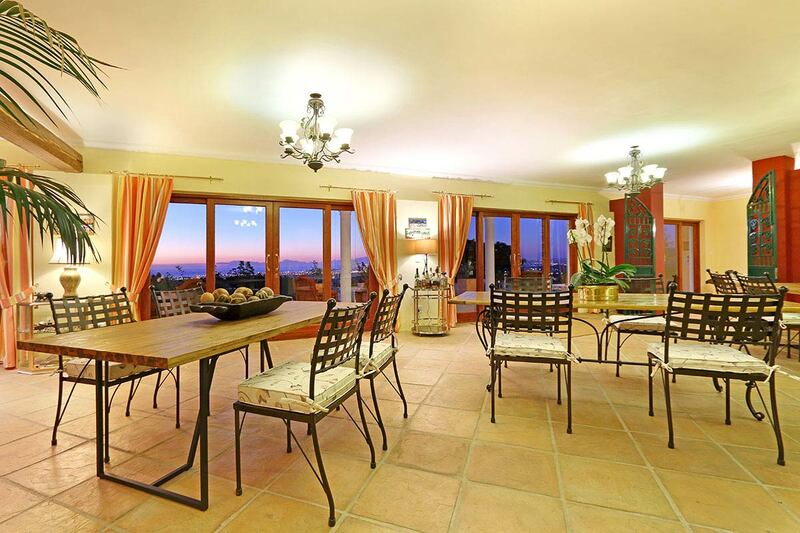 Stunning panoramic views over the whole False Bay incl. 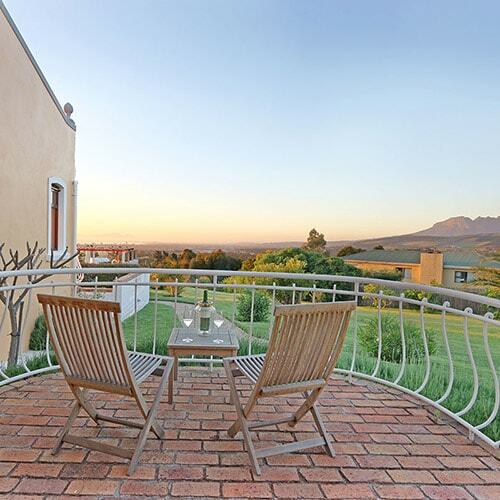 Table Mountain and surrounding mountains from your own patio. 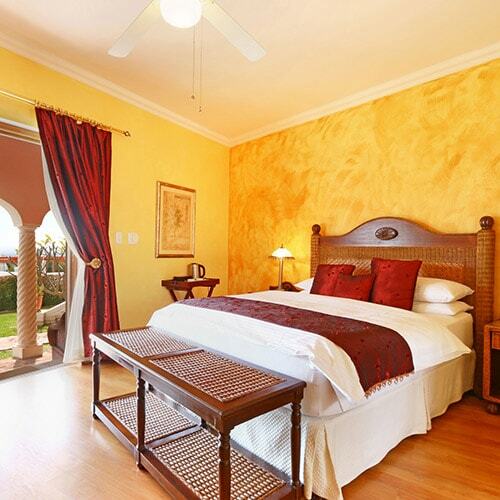 Romantic spacious bedroom with a king-size bed, en-suite bathroom with shower. 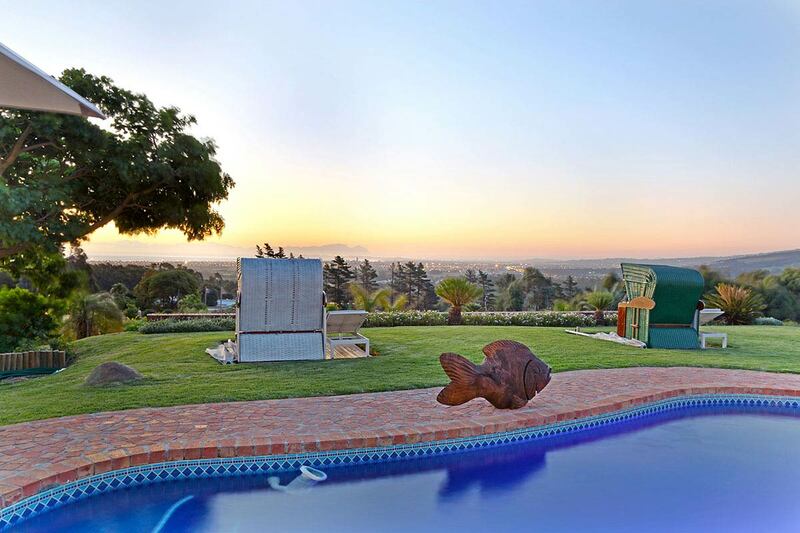 Stunning panoramic views over the whole of False Bay incl. 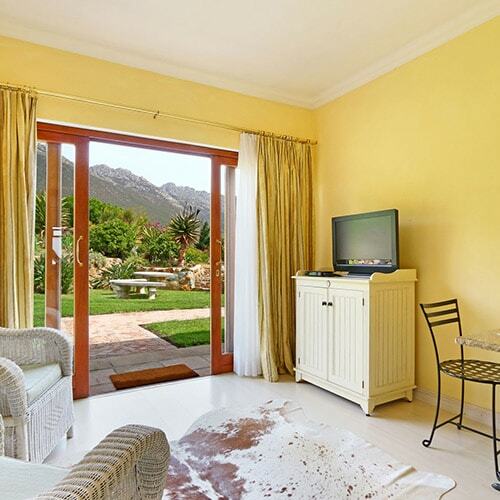 Table Mountain and surrounding mountains from your private balcony. 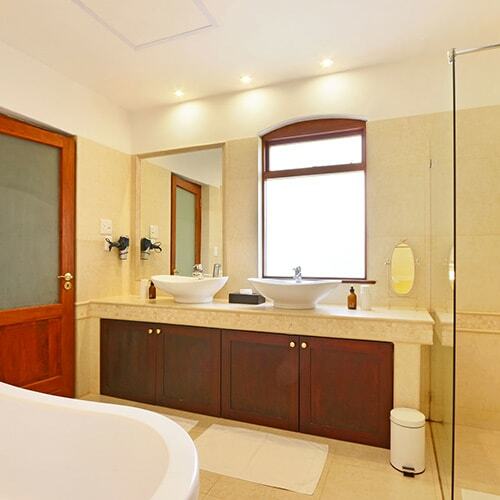 This luxury suite offers a spacious living room, separate bedroom (king size bed), full bathroom with free standing bath and shower. 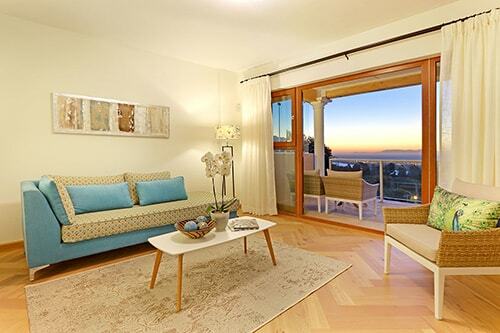 Panoramic sea and mountain views from the living room and private terrace. Can be converted into a family room for 4. 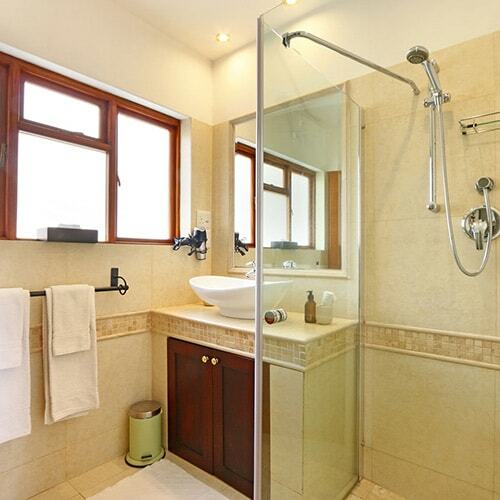 Luxury suite with bedroom (king-size bed), full luxury bathroom, lounge and spacious private balcony. 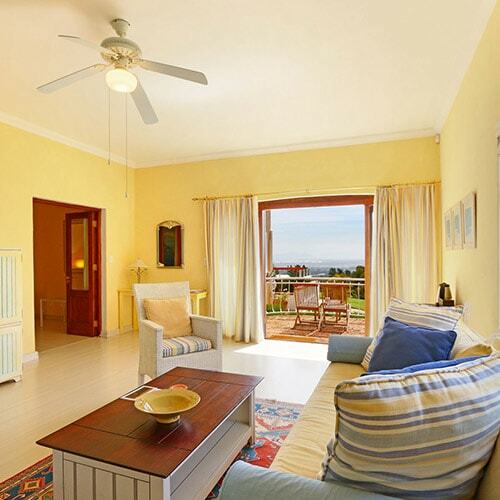 Unsurpassed panoramic sea and mountain views. 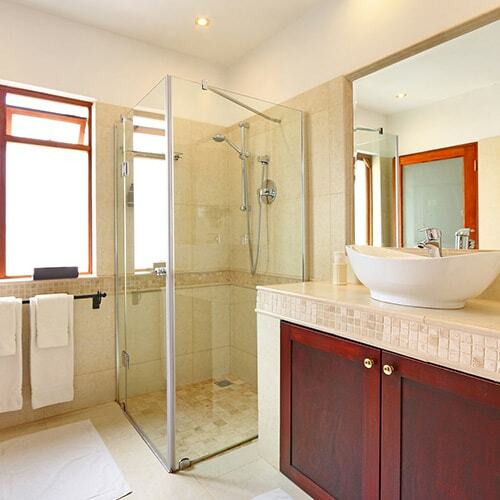 Open plan luxury suite with large living room, bedroom (king size bed), en-suite bathroom with shower, well equipped kitchen and fireplaces. Large private covered terrace with gas barbeque. Access to all facilities. Breakfast in the main dining room can be an optional addition. 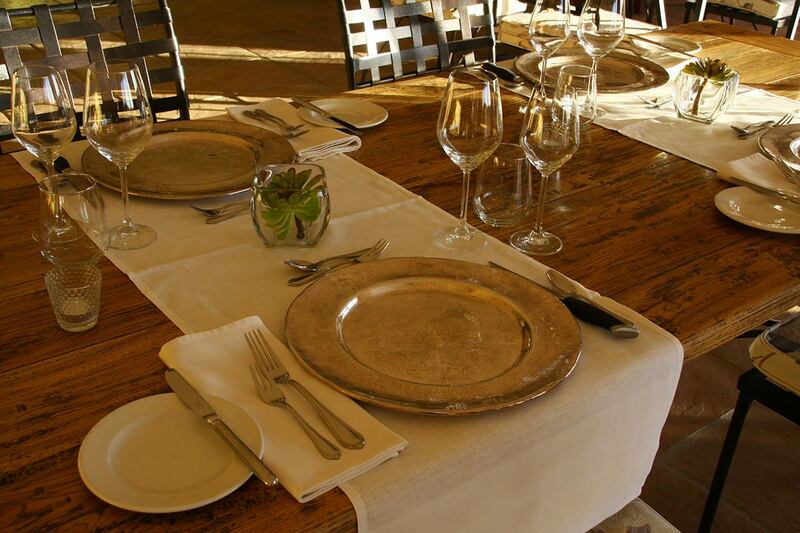 Enquire about the possibility of a three course dinner and a selection of fine wines. 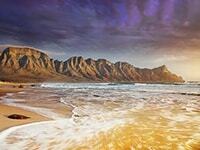 Gordon’s Bay is a small picturesque seaside resort at the eastern end of False Bay. Bask under the blue African sky on the white sandy Bikini Beach (5km). The beachfront promenade is dotted with popular seafood restaurants, pubs and cafés. In the old port one can book boat cruises or deep sea fishing. Between Gordons Bay and Hermanus is one of the most beautiful coastal roads in the world winding along a breath-taking, steep coast. In spring (August – November) whales are spotted from here. 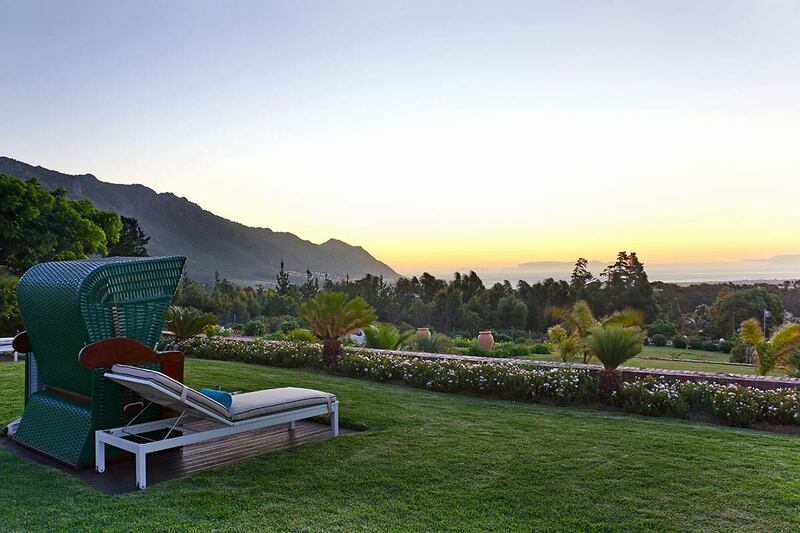 Within a 10km radius visit one of the most beautiful wineries of the Cape, Vergelegen Wine Estate, steeped in history, or one of the awe inspiring contemporary ones. 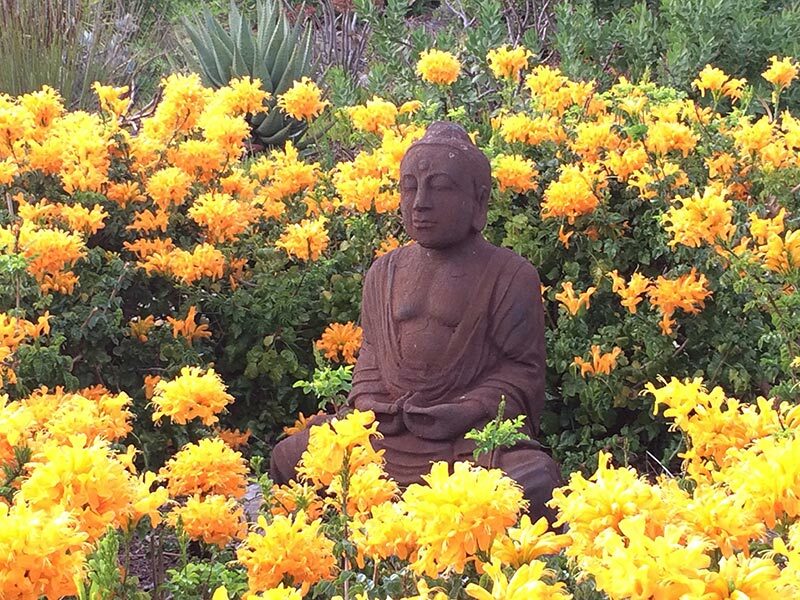 Walk/hike in the Helderberg Nature Reserve with its fascinating Cape flora (Fynbos). 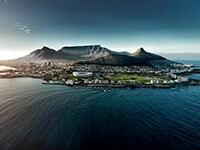 The sea port of Cape Town is one of the most important in the world due to the favourable geographical location. The Victoria and Albert Waterfront in the working harbour is a bustling shopping, dining and entertainment area and is almost synonymous with a visit to vibrant Cape Town. A trip up famous Table Mountain is one of the highlights Cape Town has to offer. 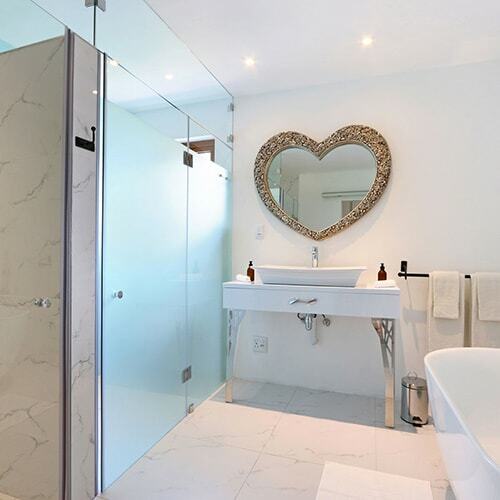 From here one has a spectacular view of the city center, the ocean, Robben Island and of the impressive mountain ranges of the Cape Peninsula. Stellenbosch (approx. 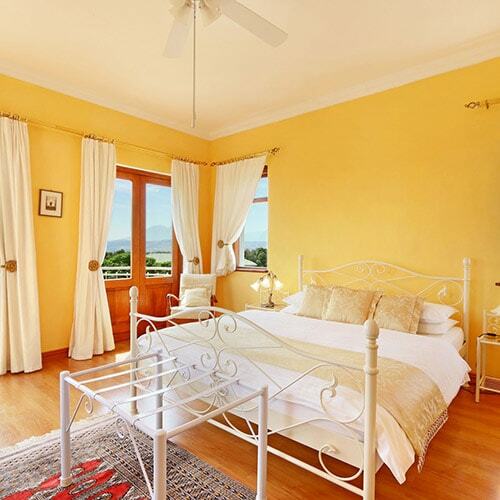 30 min), is the center of the affluent wine region of the Cape. This historic characterful town today still reflects the Dutch roots of its past. 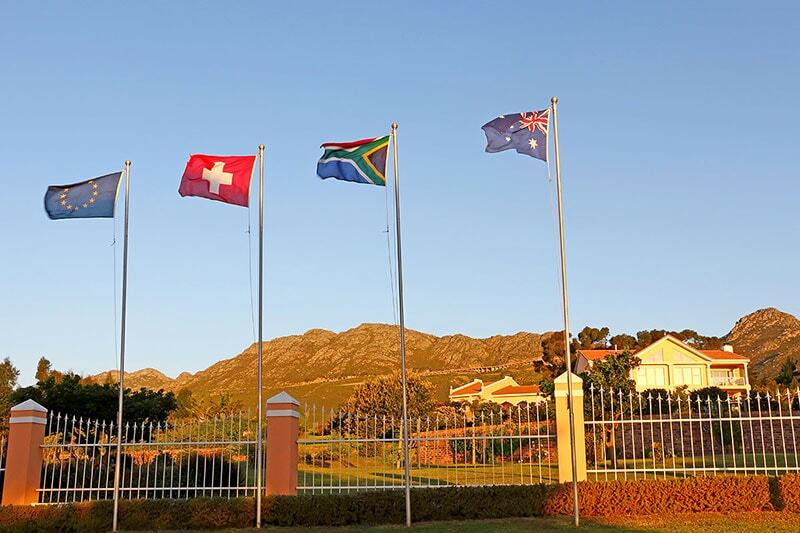 It also hosts one of the most renowned universities in South Africa with a faculty for viticulture. Franschhoek (approx. 1 hour) is known for its French roots and flair. The Main Road is lined with coffee shops, French restaurants, fashion shops and galleries. 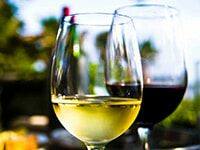 In and around Franschhoek are numerous renowned wine estates and most can be visited for wine tasting. Hermanus (approx. 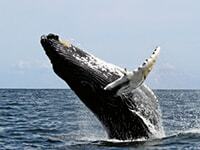 1 hour), along the Overberg coast, with good reason, calls itself “whale capital of the world”. You can see whales frolicking from the cliff paths or get an unforgettable view from a boat. Annually between July and December dozens of Southern Right Whales inhabit the calm waters of the bay, sometimes up to 100 whale cows with their calves. 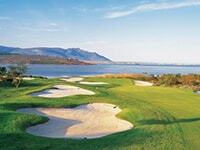 For the golf enthusiast, South Africa is a dream destination. The country has an ideal climate for spending time out on the fairways, and golfers here are spoilt for choice. 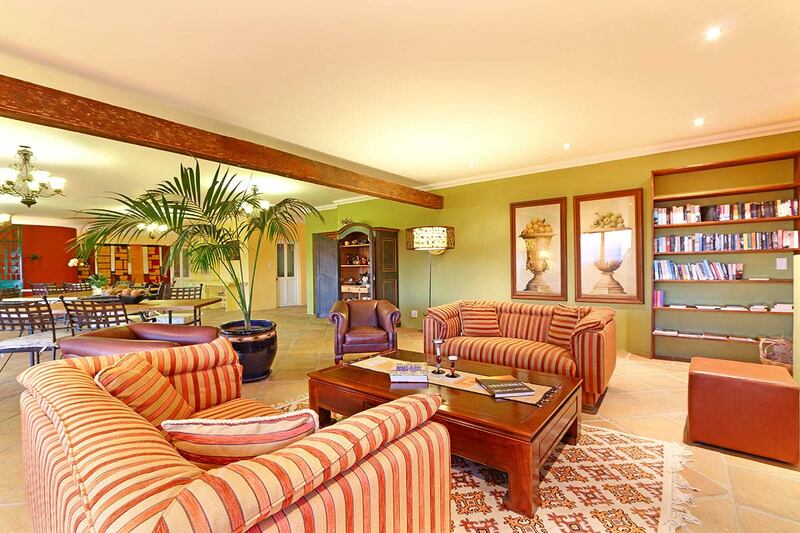 At Apricot Gardens Boutique Guesthouse we pride ourselves on being able to deliver bespoke golfing holidays, no matter what level of golfer you are. If you have particular golf courses in mind, get in touch with us and we will do our best to fulfil your wishes. 7 days Gordon’s Bay (Cape Town) and 7 days Knysna, Garden Route. 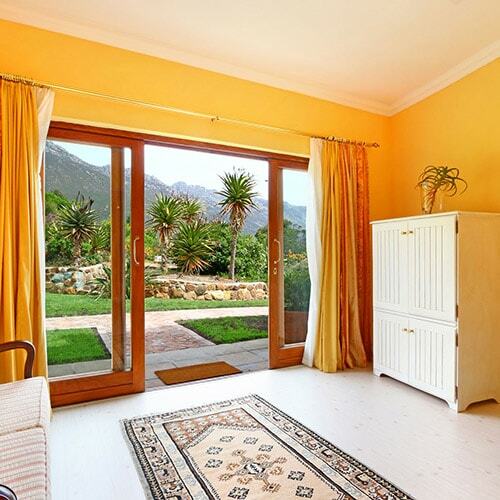 Golf at its best, Wine Tasting, Sunset Cruise and Safari Enjoy the warm hospitality of Apricot Gardens Guesthouse and relax away from the hustle and bustle of everyday life. 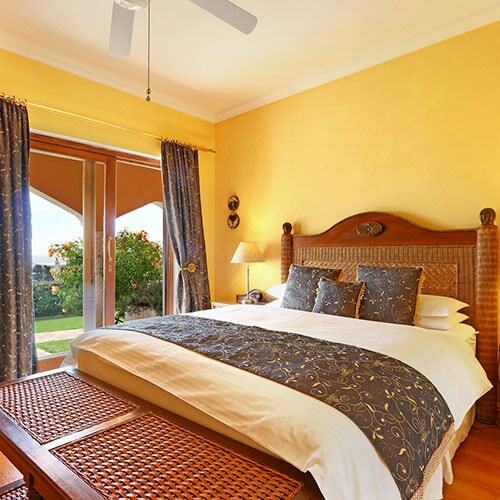 Experience Knysna and Villa Afrikana Guest Suites “your place in Paradise” which is situated in the heart of the Garden Route; home to Pezula, Simola and Goose Valley Golf Courses. 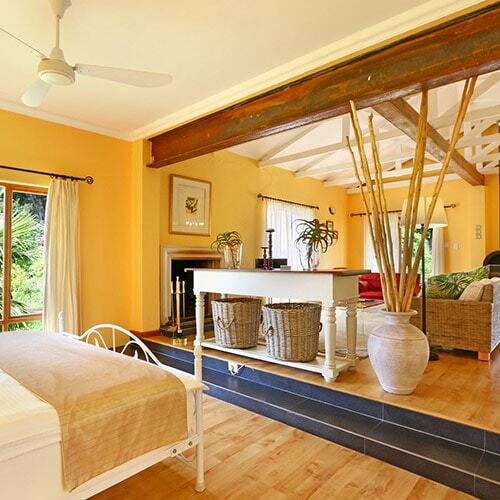 The 5*-graded Villa Afrikana is perched high above the town of Knysna, on a hill fittingly called “Paradise” overlooking the world acclaimed Knysna Heads and lagoon. 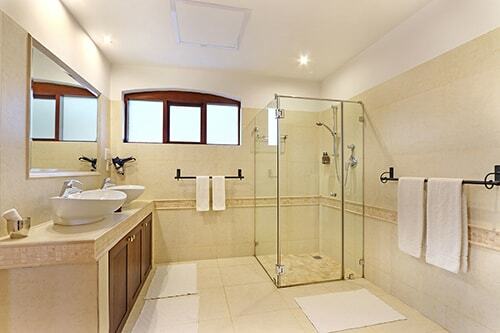 is perfectly situated for your enjoyment. 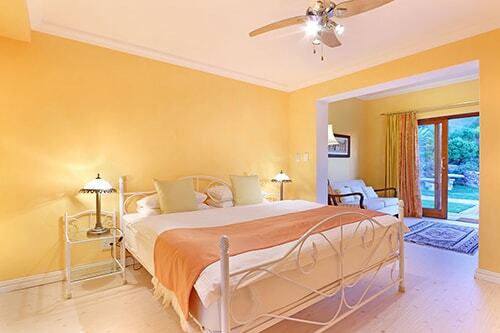 It is close to the major attractions around the Winelands, the Coastal Road and the “whale capital of the world”, Hermanus. Visit Cape Town, the V & A Waterfront or Table Mountain in only 45 minutes or explore the area around the Cape and the Cape of Good Hope. Relax in tranquil surroundings with outstanding panoramic views and gardens and still be “in the middle of all the action”. Take the N2 Somerset West road. Follow the N2 for about 35 km. As you approach Sir Lowry’s Pass you will pass a Shell petrol station on your right. After approx. 500 m you turn right at the very next turn (Gordons Bay / Kleinmond). Drive 500 m along that road and take the first road (gravel road – see photo above) to the left. After 1,5 km you will reach your destination. After the town of Grabouw you will pass over Sir Lowry’s Pass. Take the first turn-off to the left at the Gordon’s Bay / Kleinmond sign. Drive 500m along that road and take the first road (gravel road – see above photo) to the left. After 1,5 km you will reach your destination. As you enter Gordon’s Bay, take the Sir Lowrys Pass road to the N2. 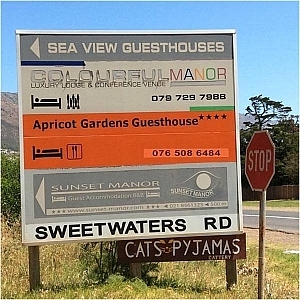 Travel ± 4km and look out for the brown tourist signs saying Apricot Garden Guesthouse. Take the gravel road to the right. After 1,5 km you will reach your destination. From Worcester pass through the Huguenot Tunnel after which take the R44 Stellenbosch exit. Keep going through Stellenbosch to Somerset West, on the R44. When you reach the N2, turn left towards George and Sir Lowry’s Pass. After 10 minutes there is a Shell petrol station (on the right). Another 500 meter on is a Gordon’s Bay / Kleinmond sign – turn-off to the right. Drive 500 m and take the first road (gravel road) to the left. After 1,5 km you will reach your destination. Whether a general enquiry or for a booking, please drop us a line and we’ll get back to you as soon as we can. Whatever the reason, we’d love to hear from you! 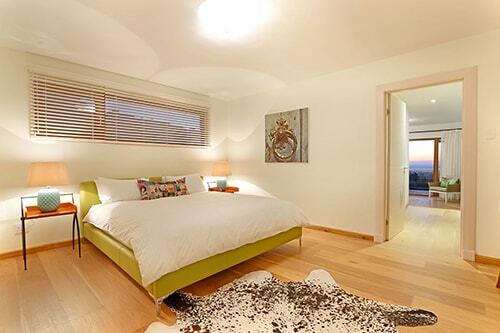 A 50% deposit of the reserved value of the booking on confirmation of booking is required.